This stone is part of a wider complex of standing stones (comprising Dunruchan A, Dunruchan B, Dunruchan D, Dunruchan E and Dunruchan F). This stone is of some significance as all the other stones can be seen from this one. 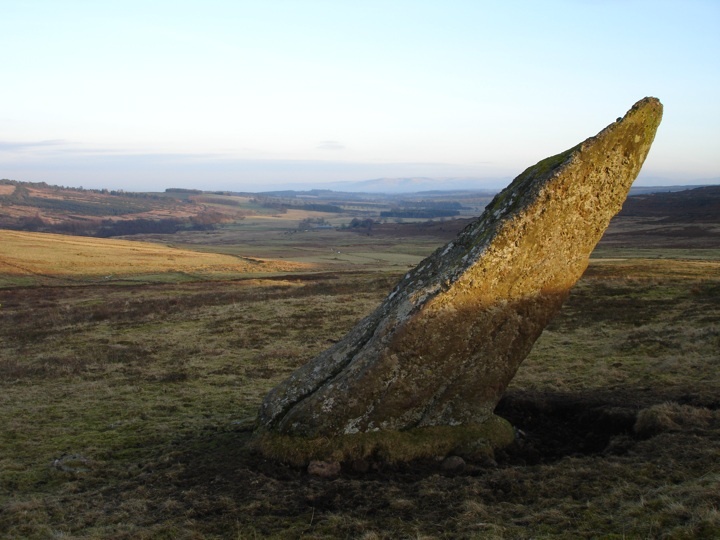 It is a massive stone which may originally have been taller than Dunruchan A – it leans at quite an angle, but it’s tip is still 2.84 above the ground. Dunruchan C is in the parish of Muthill and the county of Perthshire. Published on the 14th of May 2010 at 4:19 pm. Updated on the 2nd of January 2013 at 12:39 pm.